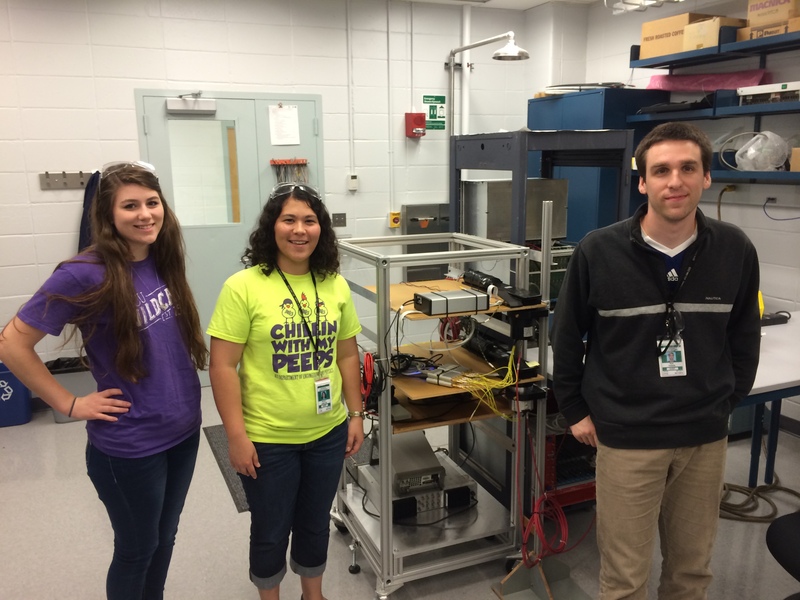 ACU undergraduate researchers have been traveling to conferences this fall. Ryan Wilson traveled with Dr. Darby Hewitt of the Department of Engineering and Physics to present his work at the Frontiers in Optics/ Laser Science Conference. Hannah Lowry, Kristen McNally, Austin Lemmons, and Jake Hall presented at the 2015 CSOTTE Conference: Emerging Scholars Track. Hannah Choquette and Dr. Stephen Baldridge presented at the North American Christians in Social Work Conference in Grand Rapids, MI. Bre Heinrich, Kennedy Morrison and Dr. Stephen Baldridge presented at the Lubbock Christian University Healthy Families Conference. Tyler Salter presented from his McNair Scholars research at the Society for the Scientific Study of Religion. Several faculty and students from the Department of Engineering and Physics attended and presented at the 2015 Fall Meeting of the American Physics Society of Nuclear Physics in Santa Fe, NM. Rueben Byrd, Hannah Hamilton, Cecily Towell, Paul Carstens, Lauren Slensky, and Zhaojia Xi all received scholarships to present their work at the conference. Fourteen McNair scholars presented at McNair Conferences at the University of New Mexico or the University of Wisconsin. Read about the conference at UNM on the McNair blog. Twenty seven students traveled to the Texoma Region of the National Association of Teachers of Singing Conference to compete in Oklahoma City with Dr. Rick Piersall and Dr. Julie Pruett. Among the students were Megan Lewis, Mikalia Bradberry, Jasmine Washington, Teonna Murphy, Kendall Stubblefield, Kristen Gillis, and Keely Smith. Caitlin Norquist sang the role of Casilda at the Utah Vocal Arts Academy/Utah Lyric Opera festival. Jake Hall presenting to the speaker of the opening keynote — international scholar in teacher preparation, Dr. Lin Goodwin from Columbia University. 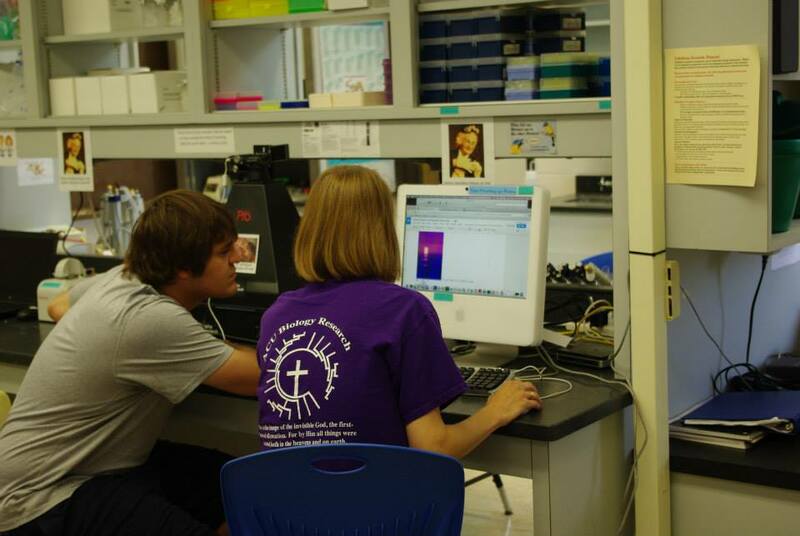 ACU Undergraduate Researchers were busy this summer working on a variety of projects. 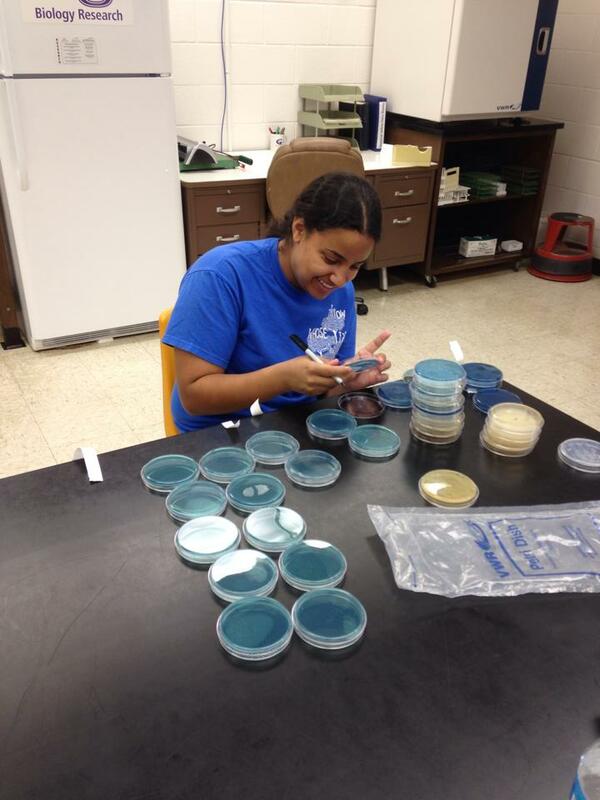 Over 50 students from more than 15 departments have participated in research this summer. Seventeen students participated in research through the McNair Scholars program. Other students and faculty were supported by Pursuit Research Grants and Office of Undergraduate Research Summer Stipend Grants. 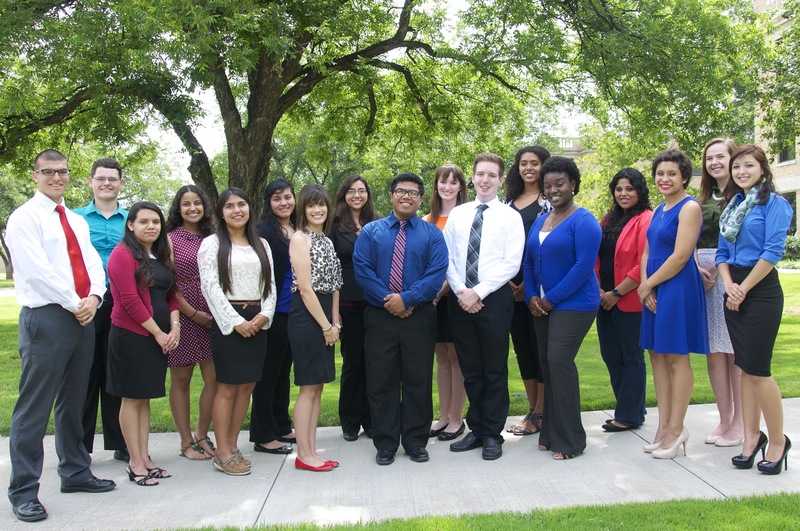 McNair Scholars: The McNair Scholars Program had a successful Summer Research Internship! 17 students with 12 different majors did research with 15 mentors. They will be presenting their work at national McNair conferences in the coming months. Biology: In Dr. Jennifer Huddleston’s lab, Jeffrey Wooliscroft worked on determining levels of antibiotic resistance in bacteria isolated from cave samples. Jamie Thompson, Isabel Laiseca-Ruiz and Kristen Brehm worked with Dr. Rebecca Hunter in trying to determine if local queen and monarch butterflies were infected with two common bacterial parasites that are known to adversely affect butterflies in a number of ways. Kyle Stainsby, Savannah Vincent, Wipawee Songsang, and Dr. Qiang Xu studied the house-keeping genes in the Horn Fly. Chemistry and Biochemistry: Eight students and 3 faculty members participated in on-going research projects in biochemistry and organometallic synthesis. Projects included studying modified yeast, Synthesis and X-ray Crystal Structure of Asymmetrical Diosmium Sawhorse Complexes, and Synthesis and Structural Characterization of New Trinuclear and Hexanuclear Osmium Carbonyl Cluster Complexes. 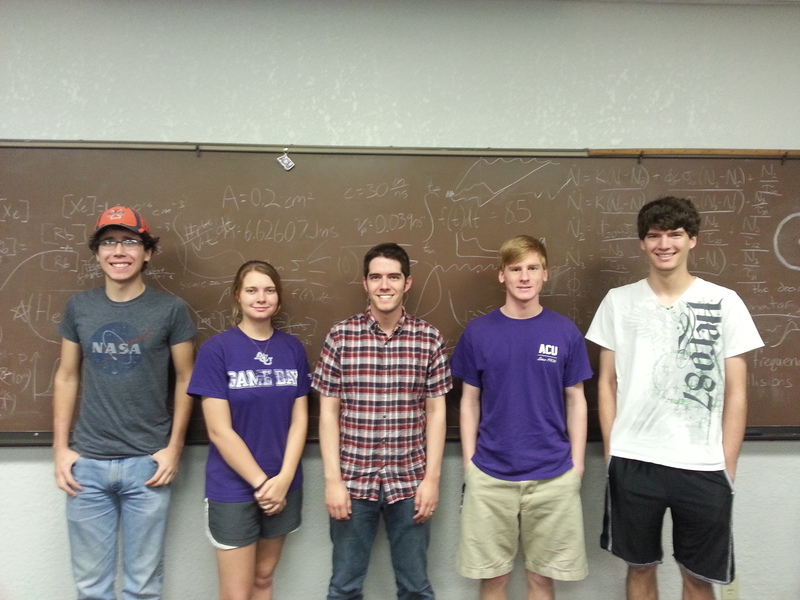 Engineering and Physics: This summer the Nuclear Physics Research Group worked with 8 ACU students. Four students worked on FNAL E906/SeaQuest at Fermilab with Dr. Donald Isenhower, Dr. Michael Daugherity, and Shon Watson. 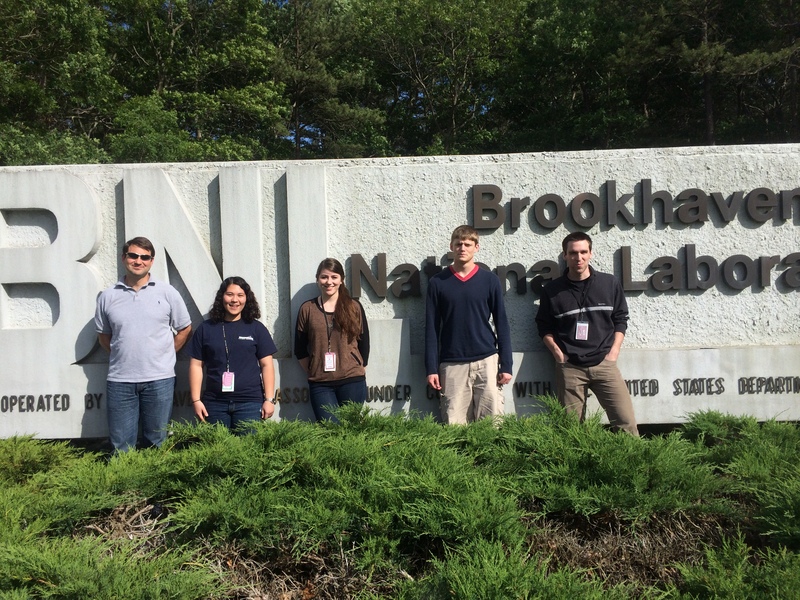 Four other students worked on PHENIX and sPHENIX with Dr. Rusty Towel at Brookhaven National Lab. Dr. Darby Hewitt worked with Ryan Wilson, Sydney Shelstead, and Candace Brooks. 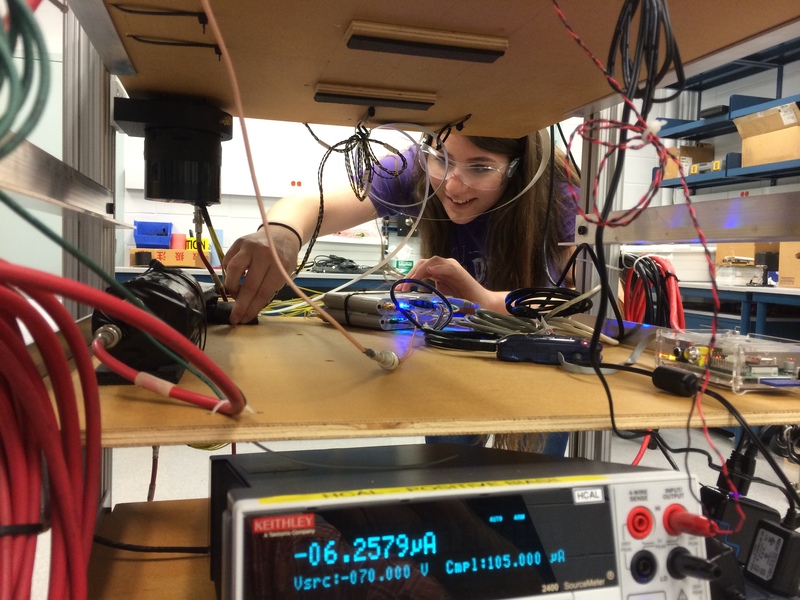 Candace worked on computer-controlling a 1960s-era monochromator, and Ryan and Sydney investigated fluorescence properties of Thallium-doped CsI under 405nm laser excitation. Megan Cromis worked with Dr. Tim Kennedy on a project that looked at the Ability of the BioSand Filter to remove Organic and Inorganic contaminants from water. Students worked with Dr. Matthew Steele on developing and constructing an operational lab scale anaerobic sequencing batch reactor. Teacher Education: Hannah Lowry, Cathy Ford and Dr. Andrew Huddleston worked to understand how first year teachers make decisions about the reading assessment and instructional practices they use in their classrooms. Theatre: Will McInerney and Dr. Adam Hester workshopped an original musical “After Zoey” in New York City. Will helped created and performed a new character “The Boyfriends” in this work written by Dr. Hester. Why I’m interested in research: I highly value the importance of research and the ability of the process to develop new skills. Participation in research, particularly for an undergraduate student, facilitates a formof growth which is unique when compared to the traditional experience of an undergraduate student participating in the basic forum of lecture and lab work in their classes. I am thrilled to serve on the Student Panel on Undergraduate Research. Pursuit and Undergraduate Research Fall Travel Grant Applications will be due Tuesday, September 23 at 5 PM. Pursuit Travel Funds are available for student travel with a faculty member to a conference to present and showcase scholarship. Funding has a maximum of $2000 ($1000 for the faculty mentor and $1000 for the student researcher(s)). To apply for Pursuit Travel Funds go to the Pursuit Travel Grant Application. For more information visit blogs.acu.edu/qep. The Office of Undergraduate Research (OUR) funds up to $500 for student travel to a conference to present and showcase scholarship. To apply for OUR Travel Funds go to the OUR Travel Grant Application. For more information visit the Conference Travel Grants Page. You may apply for funding from both groups. 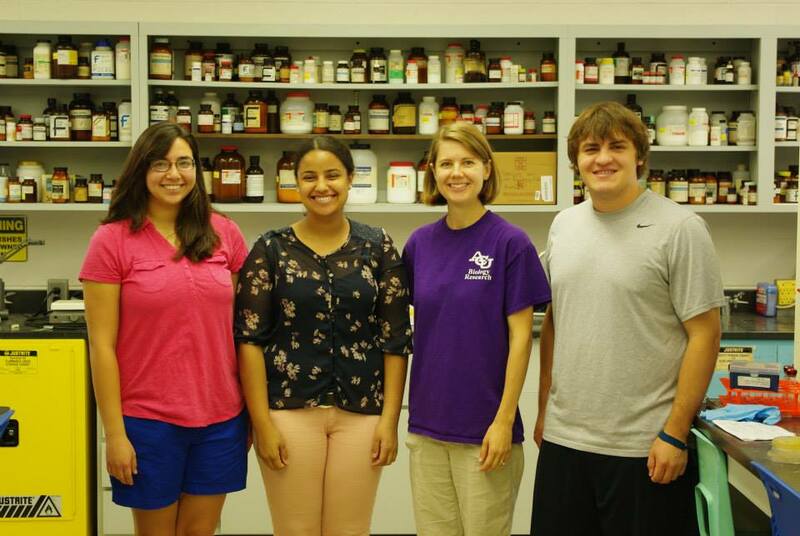 ACU Undergraduate Researchers have been busy this summer working on a variety of projects. 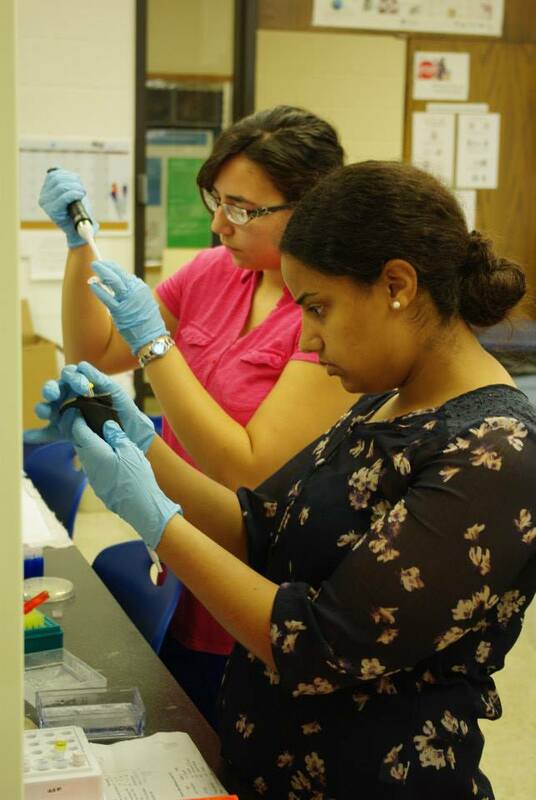 Over 50 students from more than 15 departments have participated in research this summer. Seventeen students participated in research through the McNair Scholars program. Other students and faculty were supported by Pursuit Research Grants and Office of Undergraduate Research Summer Stipend Grants. McNair Scholars: The McNair Scholars Program had a successful Summer Research Internship! 17 students participated and completed research on various projects in their disciplines. They will be presenting their work at national McNair conferences in the coming months. Biblical Studies: Victoria Sun and Houston Heflin studied Student Engagement. Biology: In the Huddleston lab 3 students have been working on knocking out genes they think to be essential to horizontal gene transfer in the bacterial genus Aeromonas. They have also been looking for Aeromonas in rainwater. Chemistry and Biochemistry: Ten students and 5 faculty members participated in on-going research projects in biochemistry, organic/medicinal chemistry, polymer science and organometallic synthesis. Education: Ashley Towe, Kaitlin Sehres, and Jake Hall worked with Dr. Andrew Huddleston on a project entitled “Thou Read’st Black Where I Read White”: Understanding Pervasive Interpretive Pluralism of Biblical Texts through Louise Rosenblatt’s Transactional Theory of Reading. Engineering and Physics: Hannah Hamilton, Ryan Pinson, Ramsey Towell, and Cecily Towell spent their summer at Brookhaven National Laboratory on Long Island, NY working with the PHENIX experiment along side Drs Michael Daugherity and Rusty Towell. They helped operate a $200 million dollar detector and built a test stand for detector development. 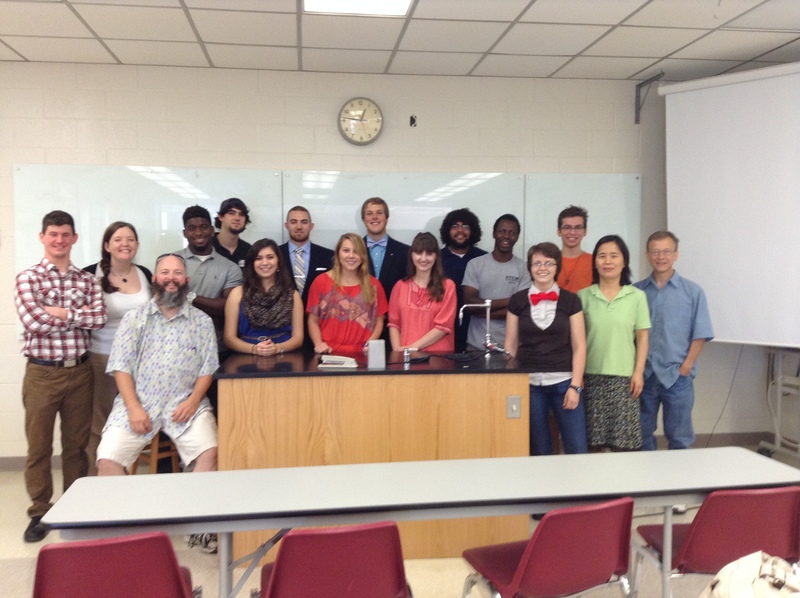 Dr. Darby Hewitt and several students worked on optics, laser science, and spectroscopy research. ACU Library Maker Lab: Student Amy Carnagey worked with Dr. John Weaver to researchthe theory and practice of constructionist pedagogy (“inventing to learn”), and its present/potential impact on the design of learning experiences in the Maker Lab and elsewhere at ACU. They presented their research results at the 2014 Annual Conference of the American Theological Library Association (ATLA). 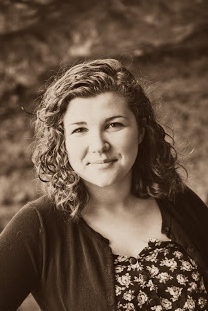 Language and Literature and Communications and Sociology: McNair Scholar Kendra Oregon (Dr. Ron Morgan’s student in Global Studies) worked with Drs. Cindy Roper and Paul Roggendorff on researching the interaction of Muslim, Jewish and Christian cultures in medieval Spain in her paper: “Tolerance in Toledo, Spain, Between Muslims, Christians and Jews, between 711 and 1031.” In her research, Kendra Oregon finds a valuable example for our times of peaceful coexistence in a radically pluralistic society. 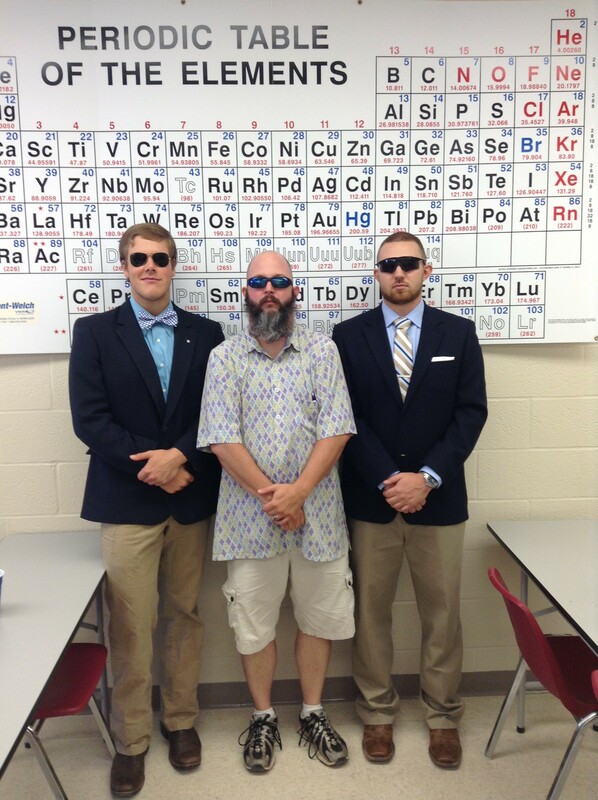 Management Sciences: Levi Ritchie and Dr. Ryan Jessup were studying the effect of too much choice.